Judy Cassab AO CBE is a renowned artist. Born in Vienna to Hungarian parents, she came to Australia in 1950. She was the first woman to win the Archibald Prize twice, in 1960 and 1967. 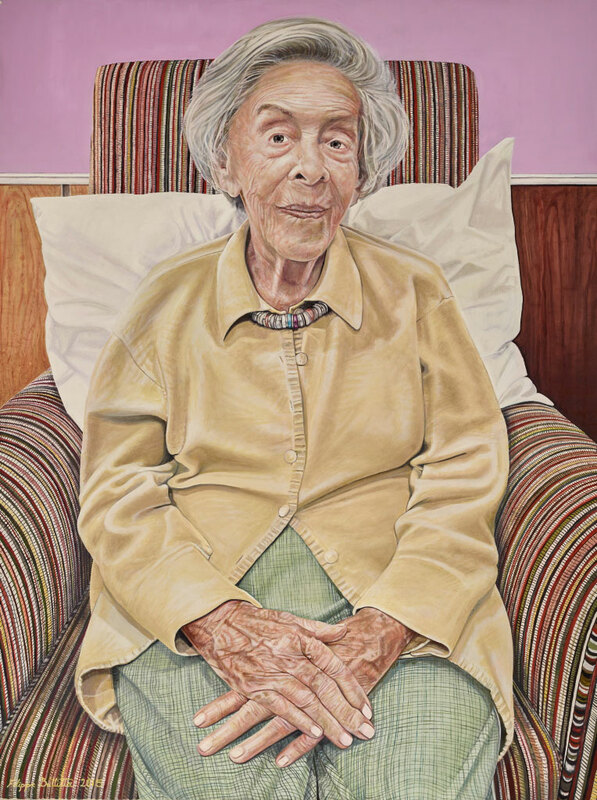 Filippa Buttitta’s portrait took around 20 sittings and was painted largely from life in front of the 94-year-old artist at the nursing home where she currently lives. Spending time with the elderly artist and painting her portrait from life seemed as important for the sitter as the artist. While painting the portrait, Buttitta read Cassab’s diaries and discovered they had a lot in common. Both started drawing as children, initially making portraits of family members. They also share European backgrounds, an interest in re-imagining the landscape and a fascination with Australian cultural identity. Born in Sydney in 1969 to Italian immigrant parents, Buttitta owns the privately run Twiverton Gallery, attached to her Sydney studio. She has been a finalist five times in the Portia Geach Memorial Award, a semi-finalist in the Doug Moran National Portrait Prize, and a finalist in the Mosman Art Prize and the 2007 Salon des Refusés.